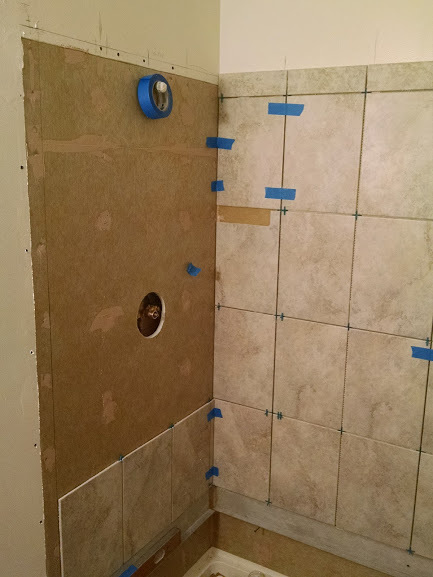 This bathroom futures a new 60″x 32″ tiled shower shower stall. A pre cast Swanstone shower pan. 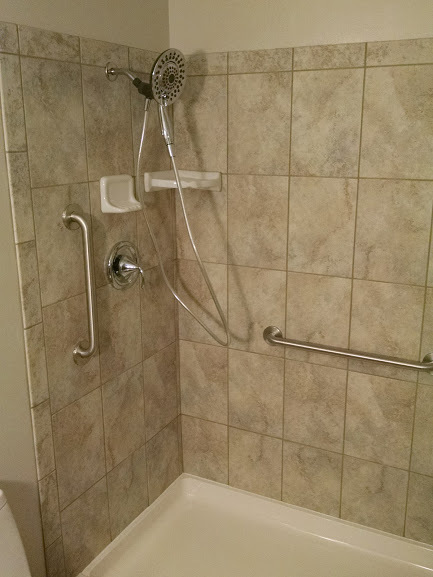 Moen plumbing fixtures. 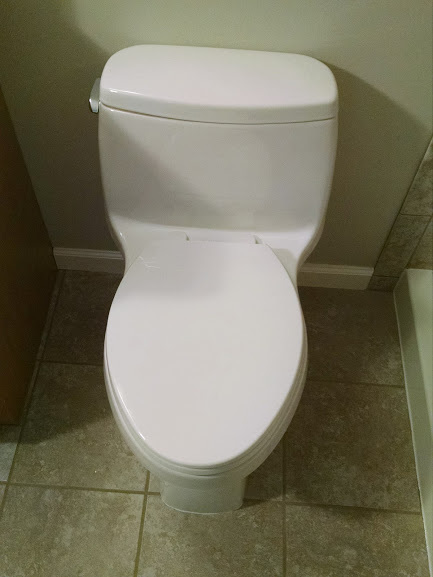 Kohler one piece toilet. 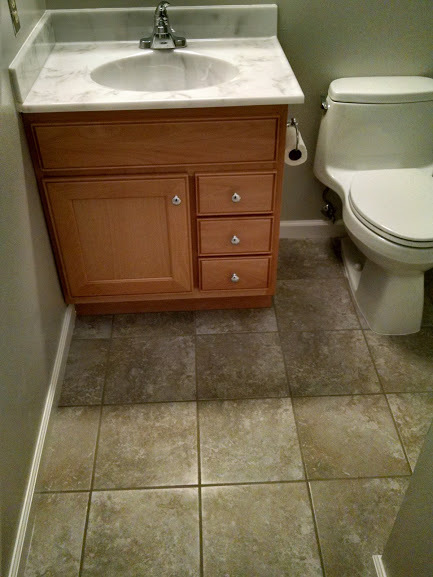 Jenson vanity, and onyx vanity top. New medicine cabinet, swivel mirror, and light fixture. 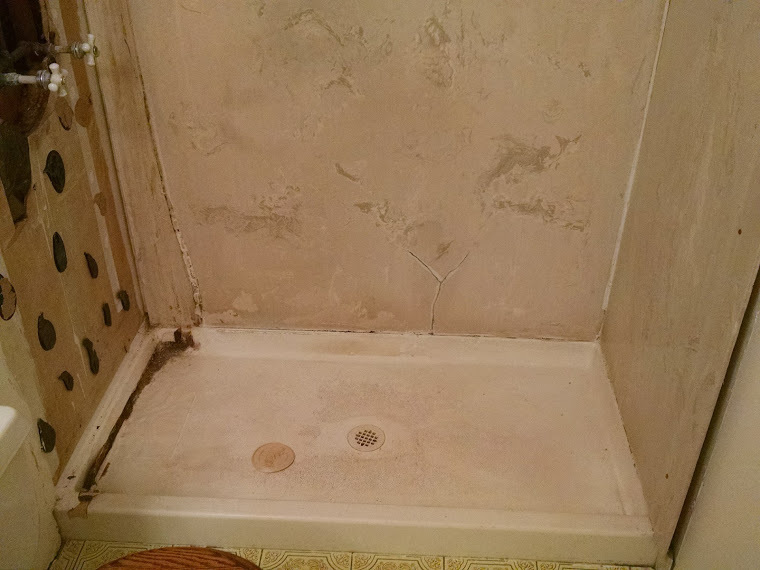 Notice the old shower stall falling apart and the water damage to the floor that needed to be corrected. 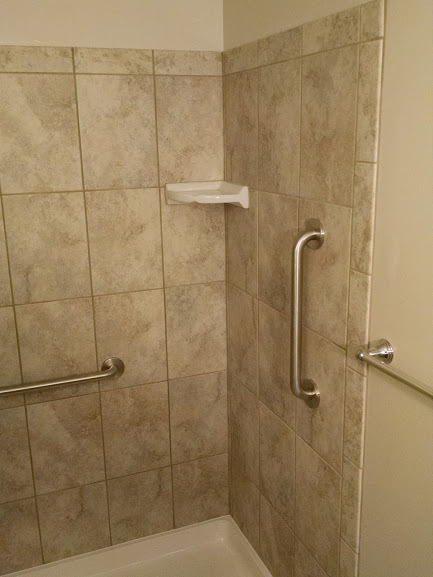 Before: Old shower stall falling apart. 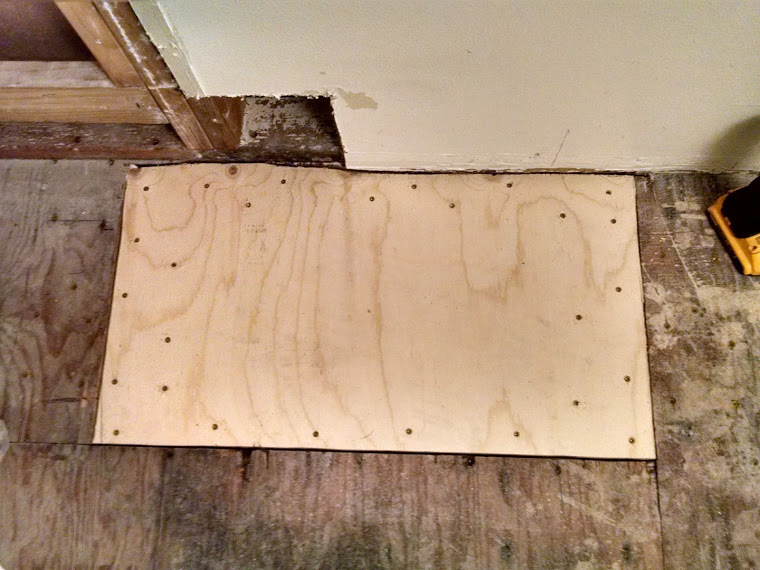 There was some water damage to the floor that was corrected. New Moen Moentrol mixing valve. 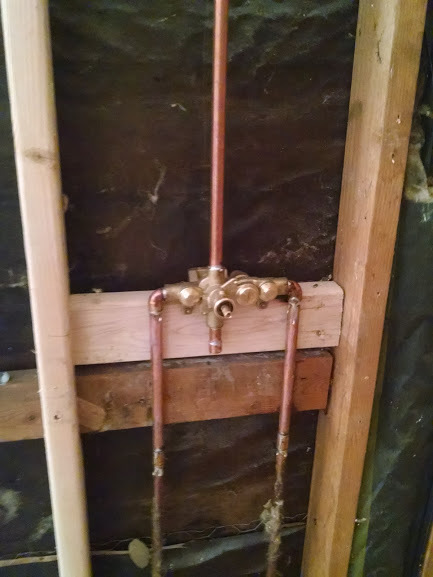 This valve not only mixes the hot / cold water. Also controls the volume of water. 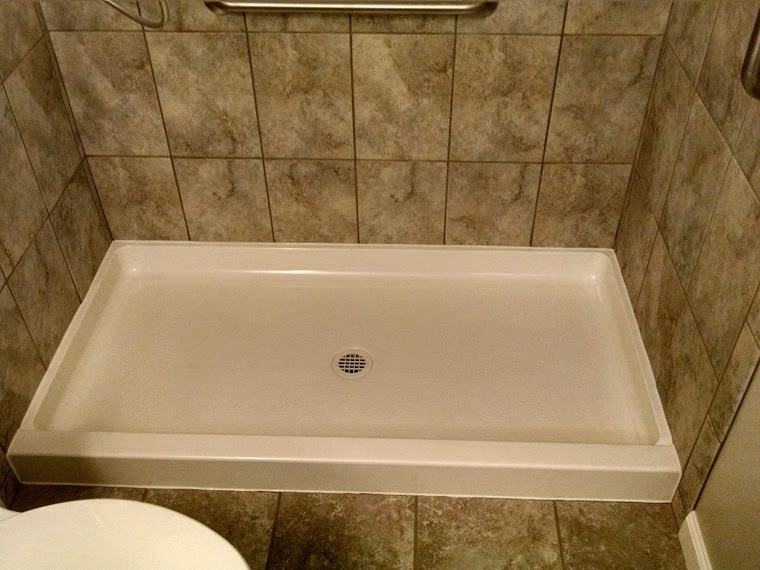 Project is finished after a coating of tile, and grout sealer. New medicine cabinet. 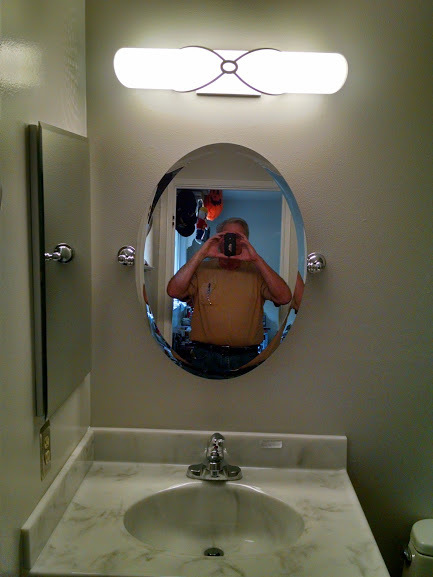 swivel mirror, and light fixture.